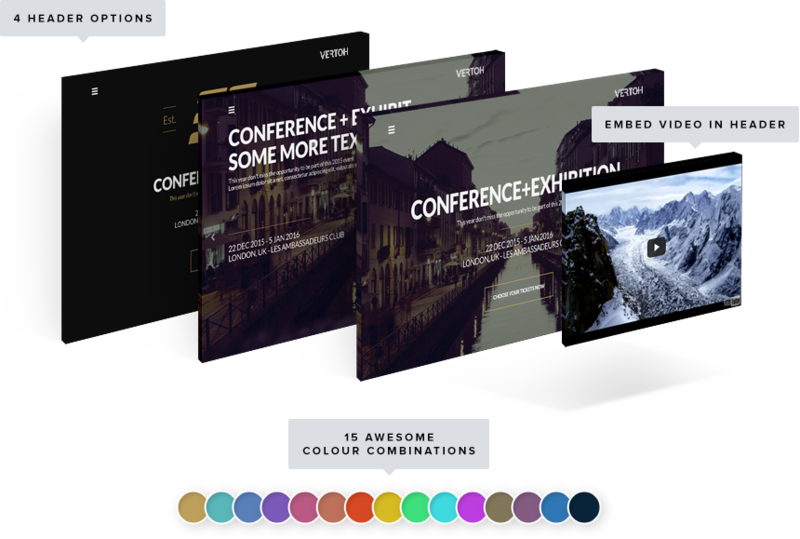 Vertoh is the perfect WordPress Event Theme for Conferences and Exhibitions. Vertoh combines a modern design with advanced event features. Wow your guests and exhibitors with a website that sells more tickets. Vertoh offers conferences and exhibitions a unique bundle of features to fit any type and size of event. You can add or remove sections to fit your conference/exhibition style. Call to Action, Time and Location, all in one clear, prominent place. Call to Action sections repeat throughout the website to help you sell more tickets. With 4 headers and 15 preset color combinations to choose from, you have endless customizations to make your exhibition website stand out, impress and succeed. Give Keynotes or Featured performers the attention they demand. Attendees will quickly identify the superstar of your event. Showcase your exhibitors in a clean, attractive design. Access, filter and search full exhibitor listing easily. 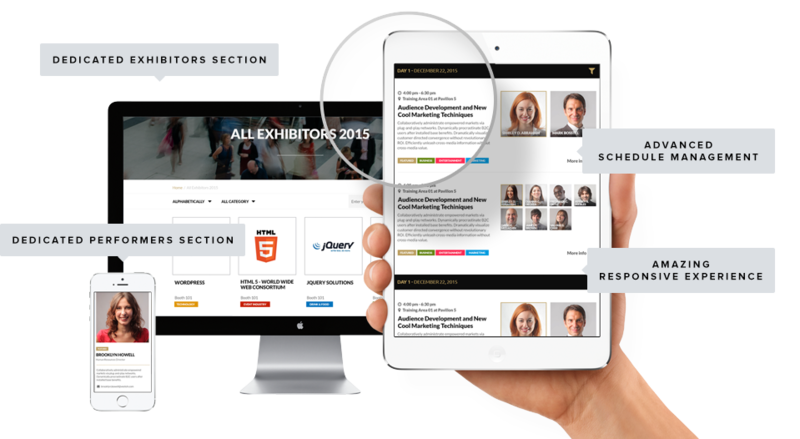 Give your exhibitors extensive profiles with key information about their services. Your Schedule has never looked slicker. Quickly show key information such as Location, Time, Track and Performers. Let attendees quickly find the session they are looking for. If you offer multiple ticket options and prices, Vertoh is your ideal choice! 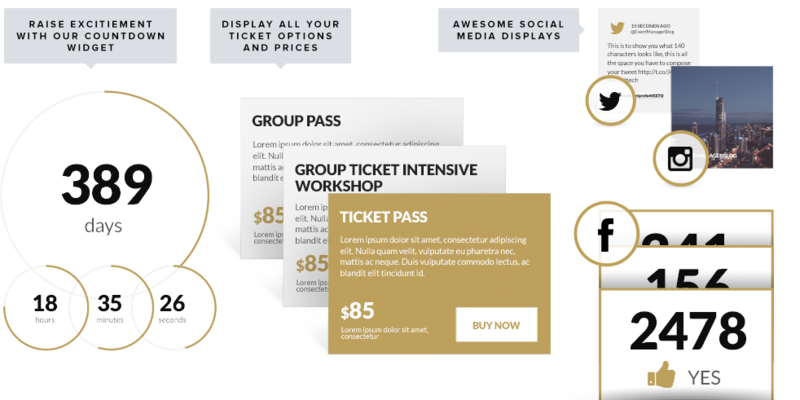 Quickly display sold out, special or regular tickets and instantly increase conversions. Set up the time and date of your event to quickly display a beautiful countdown to your event. Display the latest pictures from Instagram, tweets or Facebook RSVP. Make your event socially connected. What should I consider before purchasing an event wordpress theme? How difficult are your themes to set up? What does the support include? You will need an intermediate knowledge of WordPress. Our help centre is very comprehensive, we populate them with tutorials, video tutorials and theme specific FAQs. For everything else, there is support. You can review our support terms here. If you are not confident with WordPress we suggest to contact our partners at Codeable. Do you provide updates to your themes? What happens with bug fixes? When you purchase one of our theme, you receive a license key that will give you access to updates and bug fixes for one year. Read more about licensing here. Can I view the back end demo of your themes? Of course! When you land on a demo, click on the 'View Backend' button on the theme selector. Can I customise the theme color scheme? All our themes have editable stylesheets (CSS). Some of our themes offer full customization without opening the CSS, conveniently from dashboard. Some others offer preset color combinations. Do your themes come set up like their demo sites? You will always need to install WordPress on your domain/hosting. Conference Pro, Fudge 2.0, Mondree, Khore, Vertoh, Tyler, Januas and Fudge have an option to populate the site with dummy data so that you can have them looking like in the demo. Are your themes translation-ready with .mo and .po files? Conference Pro, Fudge 2.0, Mondree, Khore, Vertoh, Tyler, Januas and Fudge come in ready with translations and we can also provide .po files for both themes. Event Manager Theme doesn’t come with .po files for translation. You can easily translate a po file with free software. We do not provide right to left compatibility. Do your themes provide registration/ticketing? No. Our themes DO NOT have a native registration/ticketing system. We believe registration is a sensitive issue and it should be handled by dedicated plugins or services. Conference Pro, Fudge 2.0, Mondree, Khore, Vertoh, Tyler, Fudge and Januas all work with Woocommerce, a free way to register attendees. What does your License include? Once you purchase one of our themes, you will receive a unique license key. Each license is valid for one year of updates and bug fixes. The new version of the themes will be easily upgradable from your WordPress dashboard. You can use our themes on as many domains as you wish. All our themes are 100% GPL. Existing customers will be able to renew with a discount available for 1 month after the expiry date. You can generate the discount code within your dashboard. How can I obtain a tax invoice? 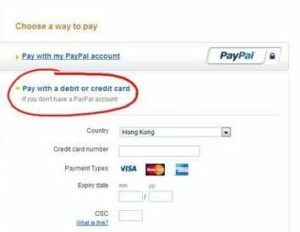 Please use the following form. indicating your order number and your company’s VAT number. It may take up to 5 working days to receive an invoice. All of our products come with a 30 day refund policy. Your initial payment gives you lifetime rights to use your theme. Annual renewals provide ongoing access to updates and support. If you cancel, you’ll lose support and updates when your membership expires.